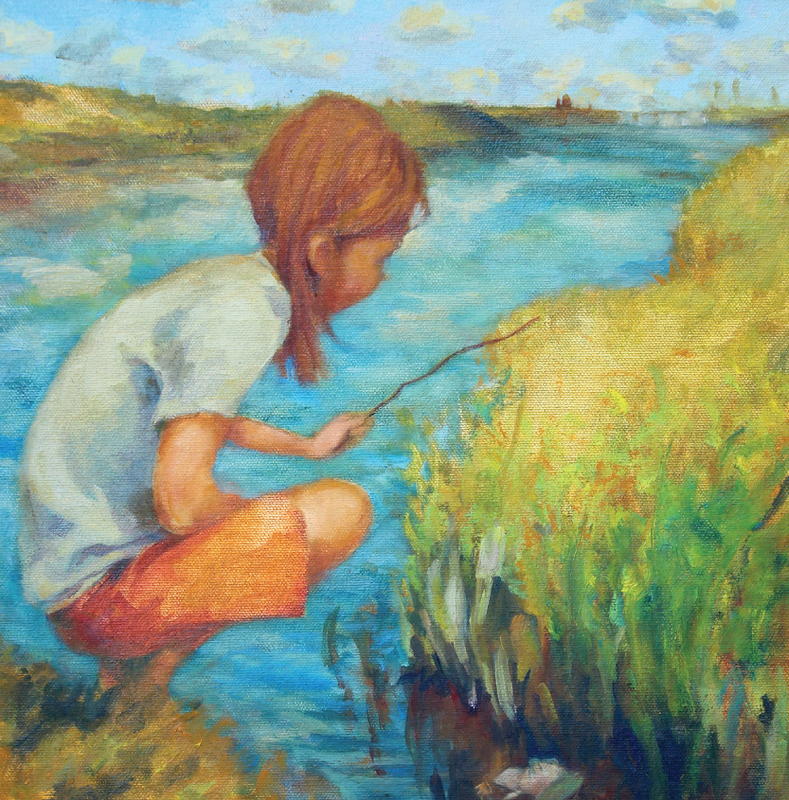 When I embarked upon this series, I imagined a much larger task for myself than I have ultimately been required to perform. Since this series was conceived and launched, many other writers and bloggers have done an excellent job revealing and presenting a wider spectrum of strategies in popular Old School environments. There are more events, more published decklists, but also more players working to revise and improve strategies in the format. Old School formats are not only more deeply mined, there is a much better mapping of the terrain. Yet, there is one area of Old School Magic that deserves more attention: combo. There are several excellent webpages that catalogue a spectrum of combo strategies, but there is a paucity of strategic information about how to pilot, design, or tailor these strategies. There are probably more articles currently available on prison strategies than combo. Combo is not simply an overlooked area of interest, it is also perhaps the least developed and most rough-hewn of all of the major strategic approaches in Old School. It is not for a want of interest, I trust, but rather ineluctable ignorance. Combo suffers from several deficits, which are accentuated in Old School environments. 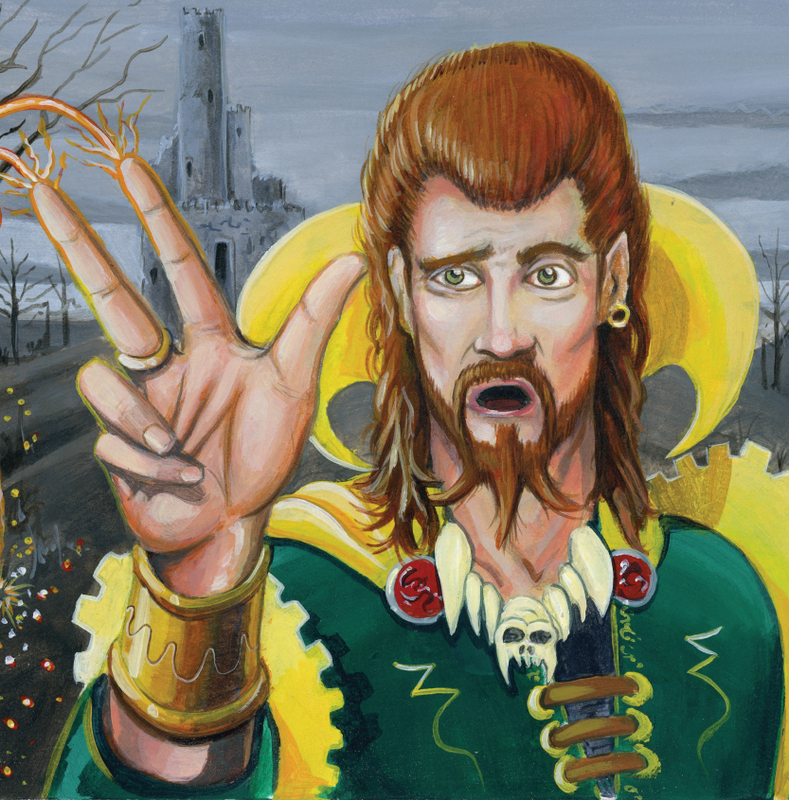 Although Old School Magic contains virtually all of the mana acceleration you could desire, there is a general perception that combo decks in Old School suffer from a lack of productive “combo enablers,” such as tutors or unrestricted draw engines. There is a parallel concern that there is a lack of excellent finishers to complement these absent engines. In truth, however, each of these concerns is greatly overstated. As we shall see, even in 93/94, there are excellent combo enablers, powerful engines, and capable finishers. 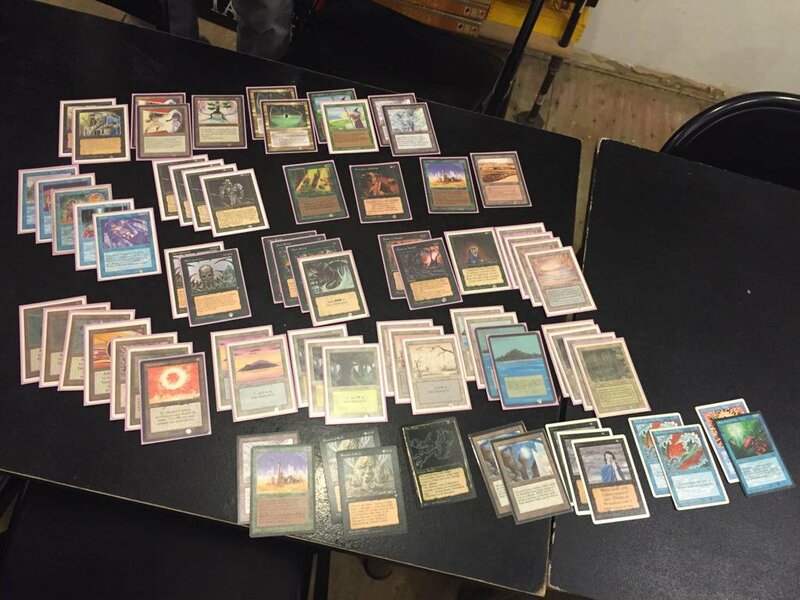 Combo is the final undiscovered country of Old School Magic. I will now pull back the curtain a bit. 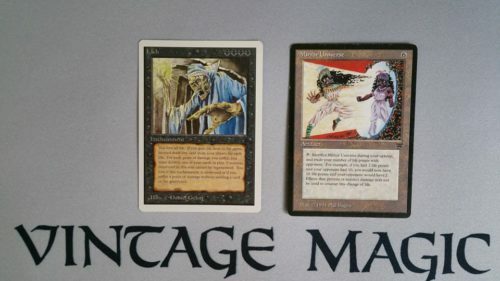 We will take a deep dive into the six major archetypes in Old School Combo, including the mysterious and enigmatic Lich combo and the prominent and well-performing Power-Monolith Combo. In the process, I will share with you decklists that have not been published in more than twenty years, and never before on the internet, and others of my own diabolical invention. This is one of the most exciting stops in our journey. Before we explore the decklists, synergies and tactics that define Combo in Old School, it helps to begin before the beginning, and understand the origins of this broad class of strategies. The primary strategic orientations in Magic, Aggro and Control, are intuitive heuristics that describe something fundamental about a deck’s plan for winning. Aggro strategies are easily classified on account of the presence of a critical mass of creatures, and often burn or other tempo disruption to speed the clock. In contrast, control decks are generally distinguished by the presence of countermagic, spot removal, sources of card advantage, and few finishers. Both strategic orientations were explored, including their origins, in Chapters 2 and 3 of this series. Combo, unfortunately, suffers not only from greater ambiguity in what that appellation describes, it lacks a universal set of markers such as those generally found in Aggro or Control strategies, and therefore describes a much more diverse, if not broader, set of strategies. 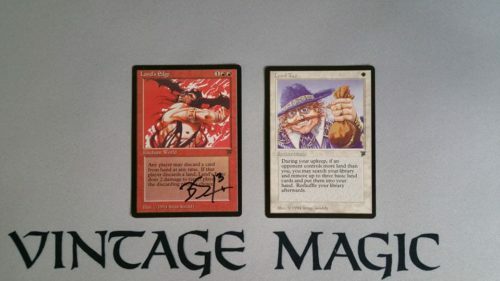 The origins of the term “combo” as applied to Magic decks is lost to the sands of time (and I have searched! ), but it almost certainly arrived as a shorthand for “combination.” The first months of Constructed Magic under the auspices of the Duelist Convocation featured many killer “combinations.” For example, one of the earliest references I can find is a strategy article by Beth Moursund in The Duelist # 6, early 1995, with the title “Cluster Decks: Making Combinations Work.” In an intriguing sidebar, she lists many of the game’s most broken “combinations,” including Channel-Fireball and Time Vault with Animate Artifact and Instill Energy, “the oldest ‘invincible’ combination around.” Although Channel-Fireball is probably the most famous, Time Vault, Animate Artifact, and Instill Energy was the most feared, earning Magic’s first banning for power level reasons. Eventually, the Fireball was replaced with Braingeyser (and the deck became BrainTwist), but the principle was the same: use Loti and Twisters to generate a critical mass of mana, and win the game with a lethal Fireball on the first turn. Even this rudimentary concept reveals something fundamental about these strategies. At their core, they seek quick mana, explosive card draw, and a big finisher. Contemporary Storm decks in Vintage and Legacy follow this essential formula, but with many more deck building constraints. Fireball and Braingeyser have been replaced with Storm finishers like Tendrils of Agony, but the principle is largely the same. Instead of generating an inordinate amount of mana, now the combo pilot must generate storm instead. Most players think of combo decks in terms of their prolific engines, either draw engines (like Yawgmoth’s Bargain, Memory Jar, Prosperity) or mana engines (Grim Monolith/Power Artifact, Worldgorger Dragon/ Animate Dead, Tolarian Academy/Capsize) or any of the countless other engines that have existed in Magic’s great history. The reality of combo decks is both simpler and more complicated than they are widely perceived. The reality is more complicated because there is usually a deeper and more intricate structural relationship between the draw engines, mana engines, and the finishers. Pros-Bloom, not only one of the most infamous combo decks of all time, but perhaps the first to truly elevate that appellation, was a complicated combo deck that used multiple cards to generate large amounts of mana to generate a large Prosperity, which, in turn, would fuel a lethal Drain Life. Each card interacted in a powerful, yet specific synergy. Yet, the reality of combo decks is also more simple than the perception of draw or mana engines would seem. This is because it is often the finisher that actually matters above all. The finisher, which I call “ultimate strategic objectives” in my book Understanding Gush, is the card that ultimately defines the nature and needs of the combo deck. Storm finishers may require minimal mana production, but maximal storm production. Although it does not provide a comprehensive look, I think it is probably easiest to begin appreciating the true scope of possibilities by focusing first on the finishers, or ultimate strategic objectives. Everyone knows that Aggro decks win through packs of attacking creatures, often supported by burn or other enabling tactics. And, despite their appellation, Control decks usually win with creatures as well (as we saw in Chapter 2), although sometimes they win through sheer attrition or dedicated milling strategies, like Millstone. Combo decks, however, rarely win by creature attack. Although there are exceptions, that is perhaps their most distinguishing feature. Therefore, I want to draw attention to the non-creature win conditions in the 93/94 format. The most obvious such win conditions are those that inflict damage through means other than attacking. Black Vise and The Rack exemplify this approach. Alpha Black Vise and Antiquities The Rack | That poor stuffy doll! 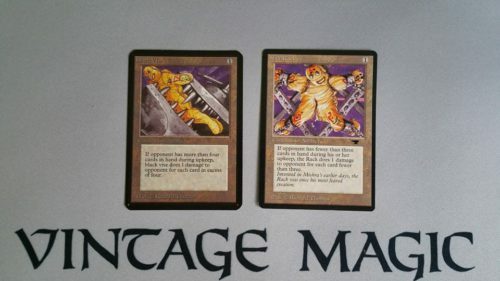 Back in the old days, Black Vise was a staple of Land Destruction decks while The Rack was a staple of Hand Destruction strategies. Both cards exemplify win conditions that do not involve the attack step. And although Black Vise was later restricted in Type I because of it’s abuse in a combo deck (a rare case of restricting the win condition instead of the engine), neither card has really been a prominent part of any Old School combo deck. That’s because, like creatures, these threats require multiple turns to inflict damage, much as creatures do. The key difference is that you need upkeeps, not combat phases. 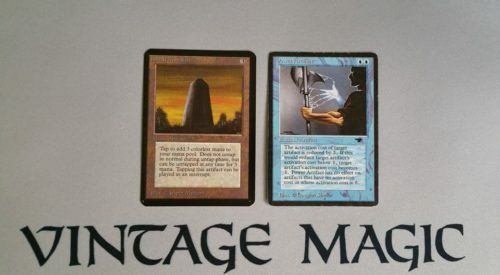 Moving away from Black Vise, The Rack, and Millstone, we discover that there are, in fact, many other win conditions spread across Old School formats, including 93/94. They just don’t spring to mind readily. But, to name a few, they include Underworld Dreams, Land’s Edge, Mirror Universe, and the aforementioned Fireball. 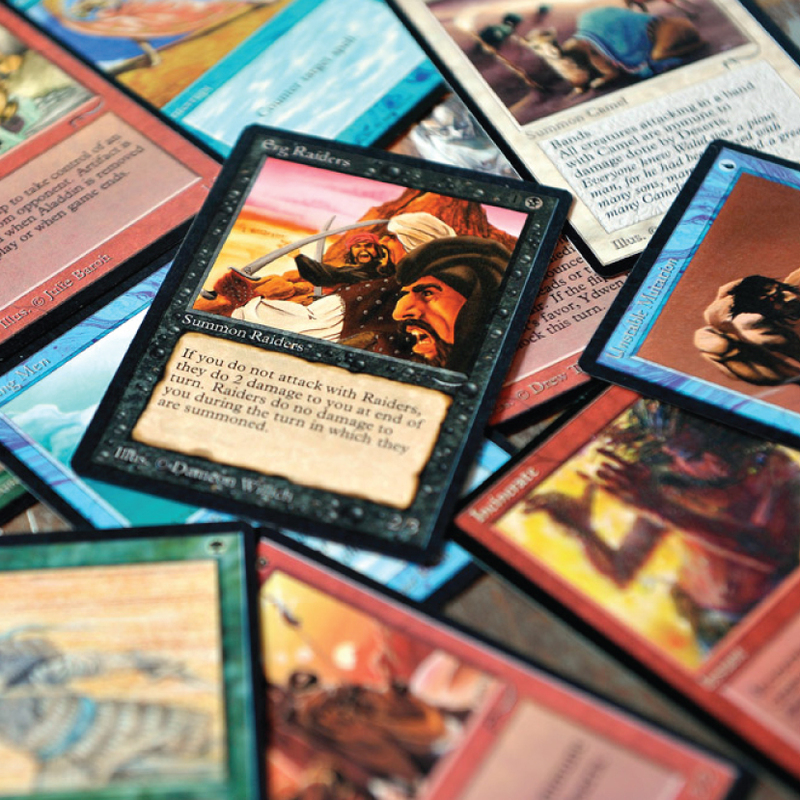 These strategic objectives form the basis on which combo decks are made possible in Old School formats. And, what’s more, they are positively inspiring. Each win conditions springs the mind to action, exploring ways to abuse each, and to fuel each. This shifts attention in the appropriate direction, however, and forms the basis for uncovering engines that can do so. 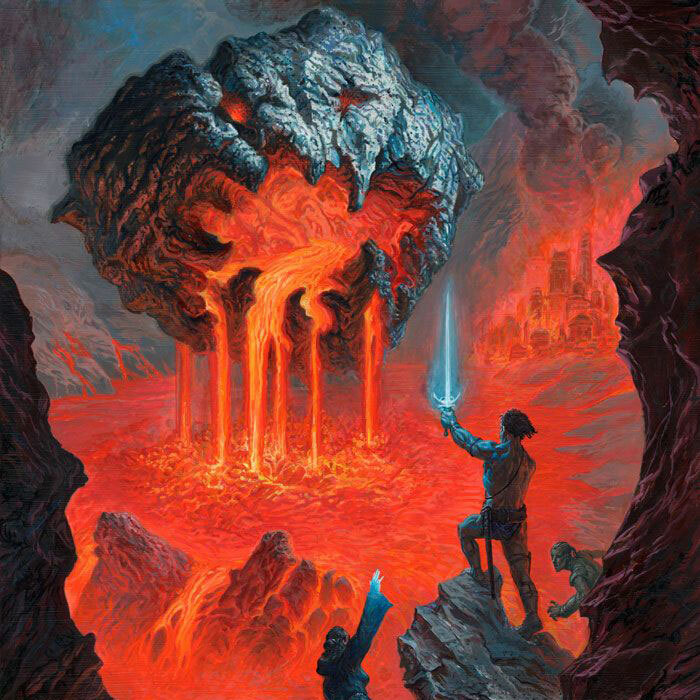 Each of these win conditions is supported, in most cases, by a specific set of engines that generates a particular synergy (such as the interactions between Lich and Mirror Universe, Land Tax and Land’s Edge, or Basalt Monolith and Power Artifact, all discussed herein). However, there are a few broad cases of cards that tend to appear across multiple archetypes because they serve as general engines. The two most prominent examples of this are Howling Mine and Sylvan Library, two draw engines that I recommend any dedicated or even half-hearted Combo player fully invest in, for fun, if not for profit. 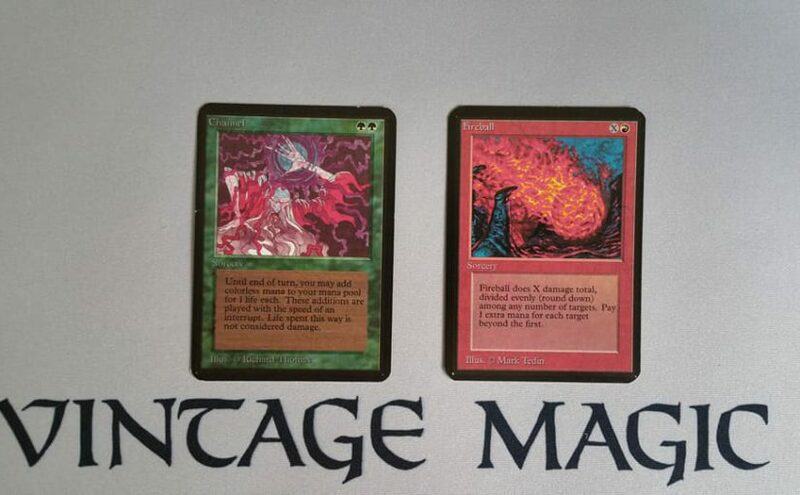 But there are other draw engines that fuel combo strategies in 93/94 Old School Magic. For one thing, you can pair Bazaar of Baghdad with Sylvan Library for filtering and card selection (and adding Library of Leng, as is sometimes done in Tax-Edge combo, below, allows it to function more like a Sensei’s Divning Top). But there are more! Verduran Enchantress can build up a tremendous amount of card draw within a few turns, with Dance of Many triggering and duplicating the Enchantress in the process. 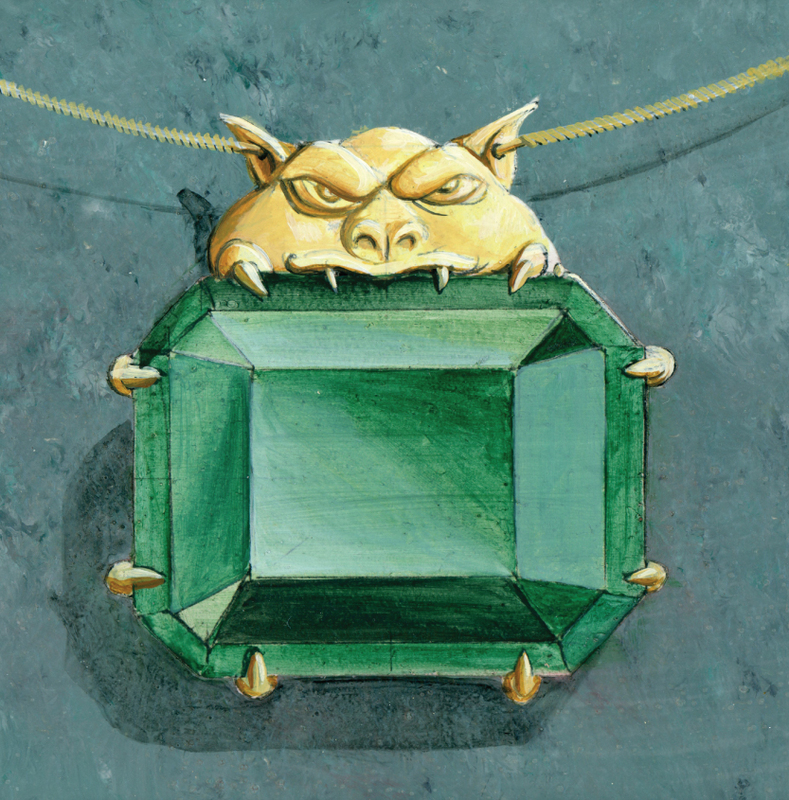 Greed and Book of Rass are two similar effects that allow you to exchange life for cards, and are especially useful with Mirror Universe or other life-gain. And, there is Lich, which, when paired with Dark Heart of the Wood, becomes a tremendous card draw engine as well. In short, there are more viable draw engines to support combo strategies in Old School than may be generally appreciated. Now, I will discuss a half dozen specific combo decks that exemplify and illustrate the potential of Combo in Old School Magic. Specifically, we will look at 1) Underworld Dreams Combo, 2) Power Artifact Combo, 3) Tax-Edge Combo, 4) Time Vault Combo, 5) Lich Combo, and 6) Recursion Combo. Underworld Dreams is one of the most interesting win conditions in Old School Magic. 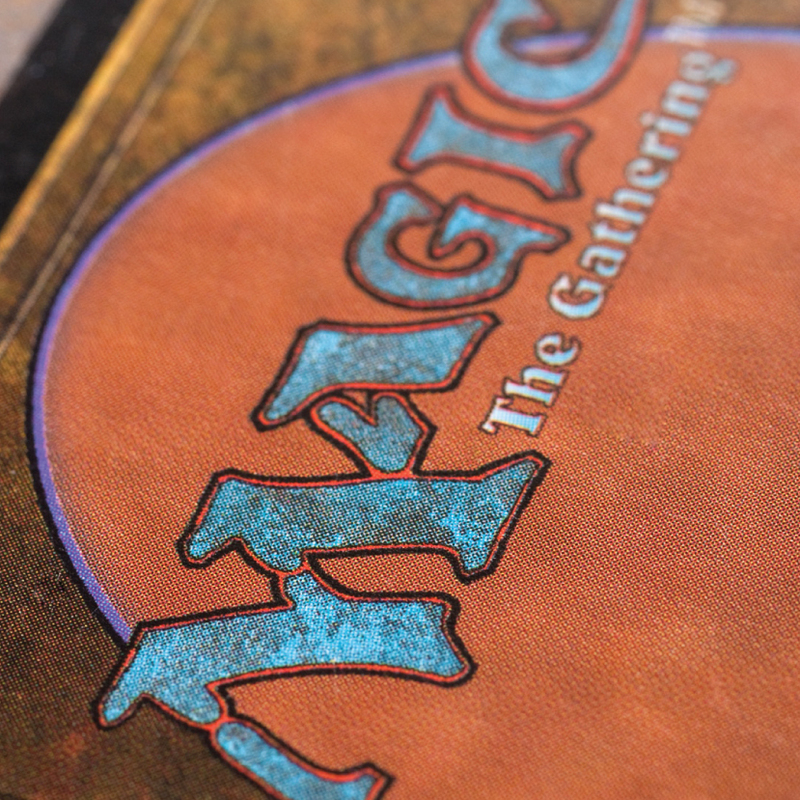 It punishes players for doing one of the best things you can do in Magic: drawing cards. And it does so not in an round-about way, like Black Vise, but directly, for every card drawn. 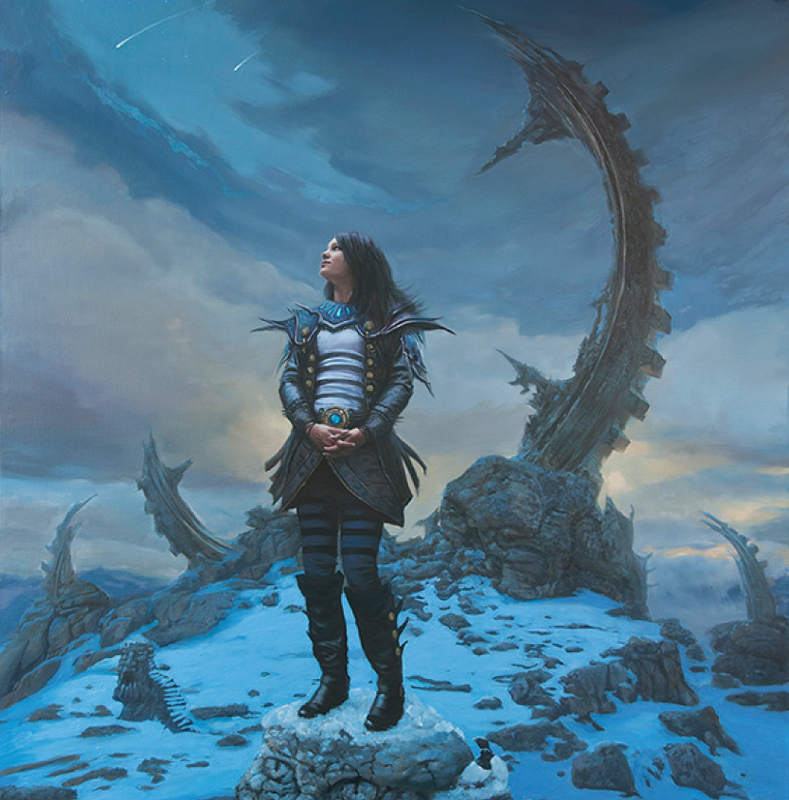 Underworld Dreams was so powerful and such a feared threat that it was restricted in the very initial wave of restrictions following the release of the Legends expansion. It was not unrestricted until October 1, 1999. Underworld Dreams may seem, at first glance, like a rather slow way to win games, not totally dissimilar to Black Vise. But, when paired with mass symmetrical draw spells such as Timetwister or Wheel of Fortune, Underworld Dreams quickly becomes a fast-acting win condition that can kill you in an instant. The problem, however, is that all of the Draw7 in Old School (Wheel of Fortune and Timetwister) are restricted. There is, however, a similar effect that can inflict nearly as much damage: Winds of Change. Mark Justice’s deck has to compensate for the sad fact that Underworld Dreams was restricted almost immediately after it’s initial printing, but Mark nonetheless built in another fantastic synergy: Chains of Mephistopheles and Winds of Change, a combo that was almost as devastating. There are so many things to remark upon in his decklist, but many are curiosities. Power Surge, for example, no longer functions in the world we live in (see Chapter 10, the last article, to better understand why). 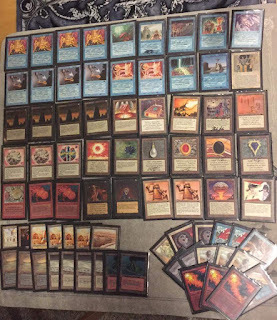 More of a dedicated discard deck (hand destruction strategy) than combo deck, this deck at least illustrates using a real-world historical example how Underworld Dreams combo was used in Old School Type I. This list represents my best attempt to not only abuse Underworld Dreams in Old School, but to improve upon the efforts that have come before. I can’t understand why more Old School players don’t maindeck Red Elemental Blast, the original Weissman tech. And this deck is no different. I suppose Flash Counter is broadly useful, but Red Elemental Blast is, and always has been, maindeckable. If your opponent isn’t playing blue, you likely aren’t losing. If they are playing blue, then REB is more efficient than Flash Counter. Aside from tweaking the mana a bit and cutting out some chaff, one of the main innovations of my list is the full implementation of Fork. Fork is particularly useful in this strategy because it allows you to double the damage of Winds of Change while also serving as a situational counterspell (Forking an opponent’s counterspell) or duplicating removal or burn. Accordingly, I upped the red part of the mana base so that I could more reliably cast Fork. This deck is fast and surprisingly consistent for a combo deck, and I think anyone who tries it will have a blast. As noted earlier, Fireball is one of the most popular finishers in combo decks in Old School Magic. It was the “go to” finisher for combo decks, at least until Kaervek’s Torch was printed, which, in turn, was replaced by Tendrils of Agony. The most famous fuel for Fireball is Channel; but with Channel restricted, it is an unreliable source. Mages found ways to build large Fireballs through many different sources. Twist of Fire, presented above, recurred Loti and Twisters until enough mana could be generated to cast a lethal Fireball. But with the imposition of the Banned and Restricted List and 60 card minimum construction limits, building a lethal fireball was even more difficult. One of the first notable examples was “Hurkyl’s Fireball,” a deck that used Mana Vaults and Hurkyl’s Recall in the Spring of 1994 to try to pull off lethal Fireballs. Another approach that has sometimes been tried is simply to use cards like Mana Flare/ Gauntlet of Might and Candleabra of Tawnos to build toward lethal Fireballs (here is one such example of that approach, and here is another, using High Tide as well). The point is that Fireball is the finisher for a range of combo decks. But few are more popular or successful in modern 93/94 than Power Monolith combo (especially since Channel, as a singleton, can’t anchor a deck). 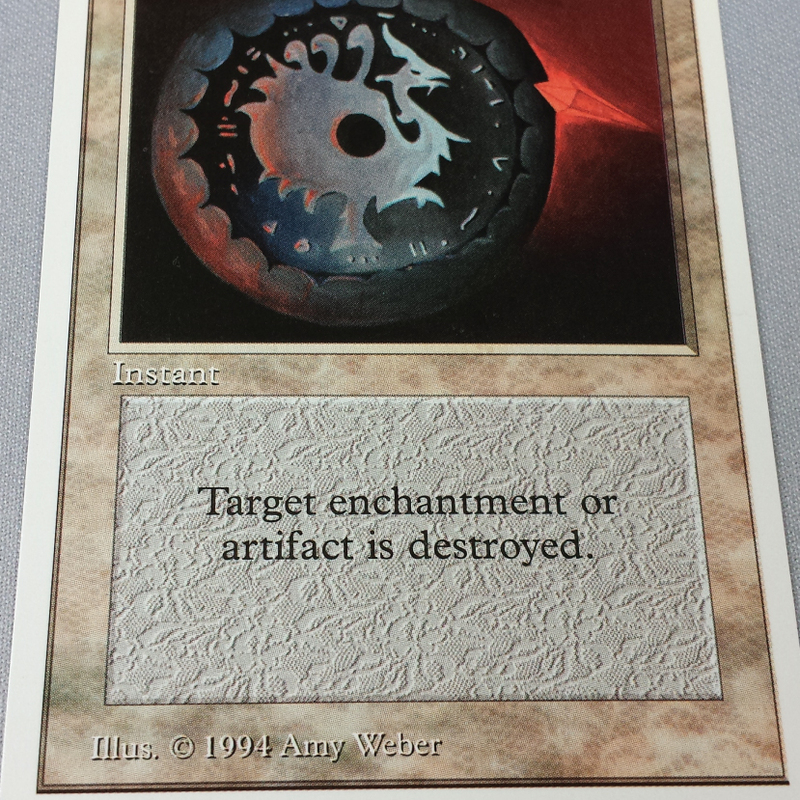 Power Artifact and Basalt Monolith is an infinite mana engine, and probably the most powerful one in Old School Magic. The way it works is fairly simple: Power Artifact decreases the cost to untap Basalt Monolith such that each use of Basalt Monolith generates more mana than is required to untap it. It therefore generates as much colorless mana as you want. 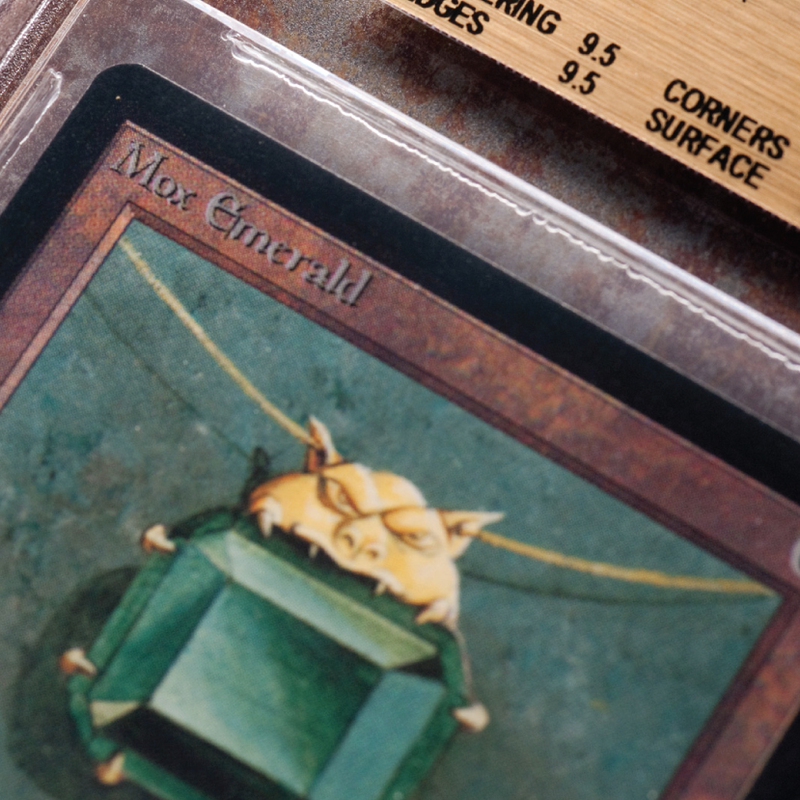 Along with a great many other cards, Basalt Monolith was issued power-level errata until 2006, in which a clause was added that it could not be used to untap itself. As a result, there is are no historical lists where this combo was permitted. Compounding matters is that the Swedish 93/94 group restricted Power Artifact until May, 2015. So it wasn’t until then that players using their Banned and Restricted List could enjoy constructing Power Monolith combo decks. That event, however, was the starting gun in a race to design Power Monolith combo decks. I designed one which I worked on during the Winter of 2015-16, which I am now sharing. 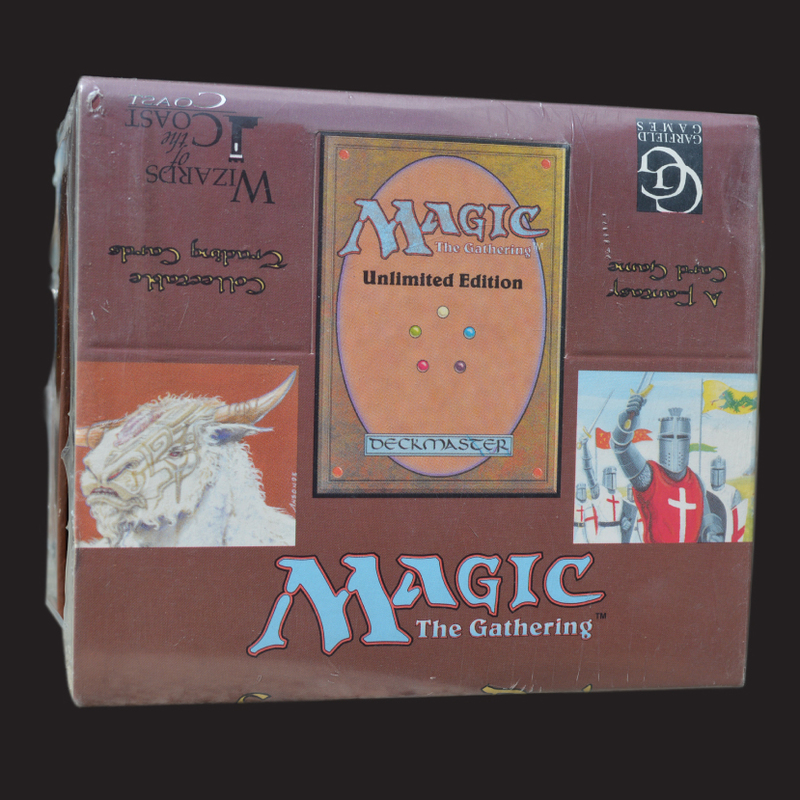 As noted earlier, when this series started, there were very few published or refined combo decklists for 93/94. Perhaps the most prominent example of that was Power Artifact combo decks (for reasons I just explained). In conceiving this series, decks such as this were areas that I could contribute, by testing and tuning archetypes and refining them for an interested audience. Yet, since I undertook these exercises, other players have engaged in similar work, and have done a good job of it as well. If you’ve read previous articles in this series, you know that I regard Transmute Artifact as one of the best unrestricted cards in the format. It’s a tutor in a format with a paucity of tutoring effects. Transmute can not only find Basalt Monolith, but also a finisher with Rocket Launcher. The pilot had Top 8ed an earlier event with a similar deck a few months before. 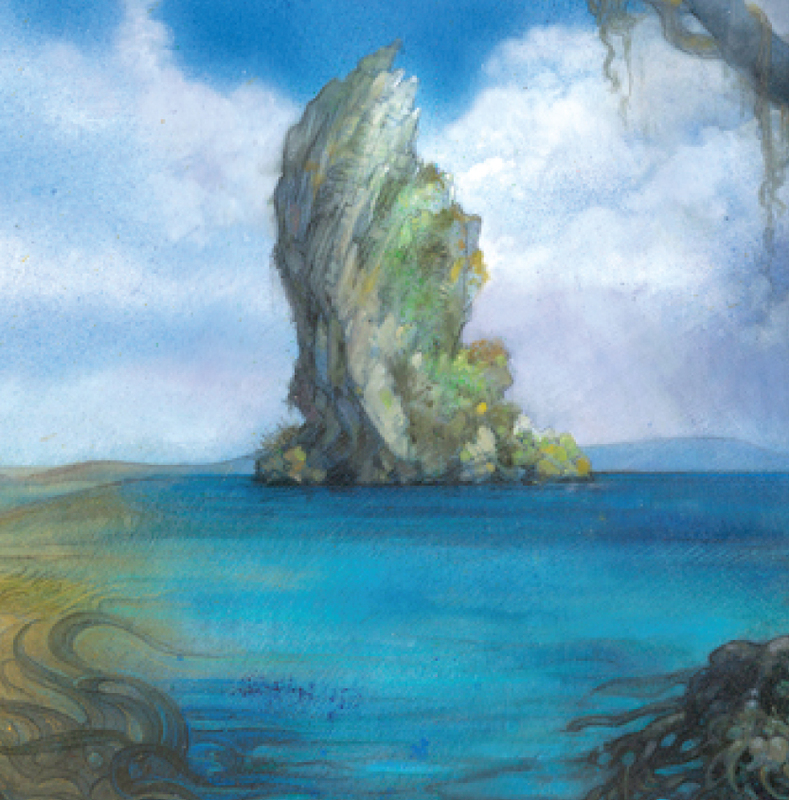 This list contains some chaff, but it features the sweet tech of Book of Rass, which is a sink for infinite colorless and helps find a win condition once the combo is assembled. Otherwise, it’s fairly similar to my independently developed approach, which included a pair of Transmutes, Rocket Launcher as a Transmute target and infinite mana sink, and a full complement of Power Sink. 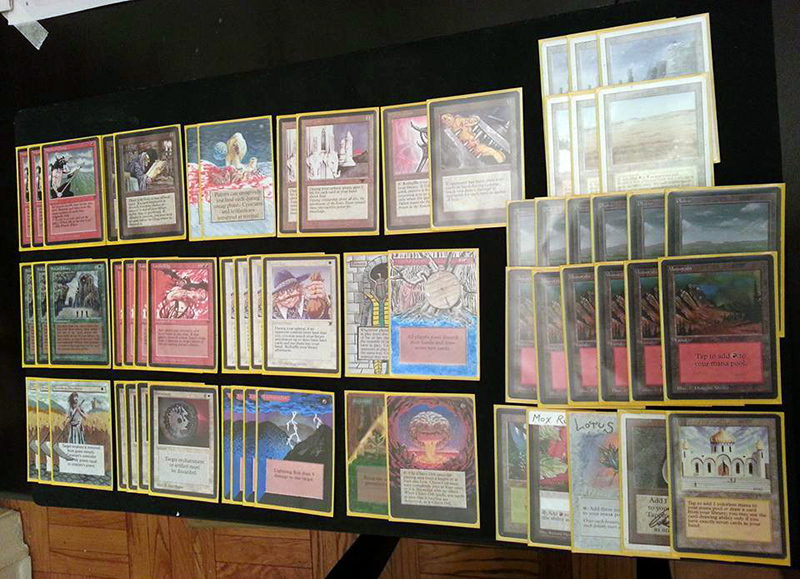 If those lists aren’t enough to give you a sense of the scope of possibilities, there were four different Power Monolith combo decks at the last Eternal Central Old School event at Eternal Weekend, 2016 to also peruse at your leisure. Suffice to say, this combo is powerful, fun and exciting. Land’s Edge is a win condition with combo potential, but how do you accumulate enough lands in hand to make it a quick kill? The answer: Land Tax. Land Tax and Land’s Edge are a deadly and synergistic combo that offers yet another way to win games and generate card advantage at the same time! Unlike the two archetypes reviewed so far, this is not a strategy I have personal experience testing or working on, but it is something I’ve faced many times (and own all of the cards for). This deck churns through itself generating card advantage and building itself up until BAM, it casts Land’s Edge, and chucks 8-9 lands at you to kill you in one shot. The most effective versions of this strategy that I have seen use Ice Age cards, because both Brainstorm and Zuran Orb are tremendous enhancements. This approach translates Land Tax’s card advantage into quality via Winds of Change, which, in a Scroll Rack type maneuver, transforms lands into fresh cards. Dominic’s list uses Land Tax and Ivory Tower to fuel the Sylvan Library draw engine, which gives the deck a little more ‘oomph,’ translating one form of card advantage into a life buffer and card quality and advantage. Sylvan Library and Land Tax also synergize together, creating a shuffle effect. 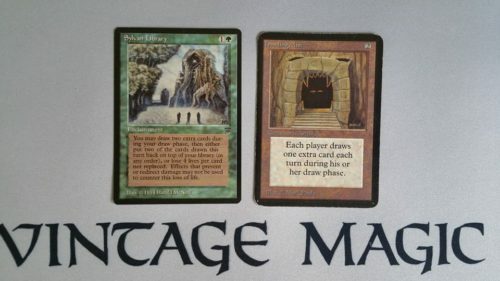 Probably the most enigmatic and mysterious yet feared historical combo deck was the Time Vault combo. Time Vault was restricted in the very first restricted list announcement, and then barely a month later, was the first card banned in Constructed Magic for power-level reasons alone. To this date, it is only one of three cards ever banned for power level reasons (the other two being Mind Twist and Channel). The basis for this restriction and banning was a three card combo pictured in the introduction of this article: Time Vault enchanted with Animate Artifact and Instill Energy to take infinite turns. This deck is not built around an infinite turn engine like the old Time Vault combo, but rather uses Transmute to find Time Vault and Twiddles to take a few additional Time Walks, and then recur them as necessary with Regrowth, Recall and Timetwister. Before too long, it can go “infinite” or nearly so. The win condition is a lethal Fireball, which is fired off often after exchanging life totals with Mirror Universe and gorging on Sylvans or after Hurkyl’sing your Mana Vaults to generate lethal mana. I’m very proud to present this list. My decklist is far more controlling, and in fact functions as a prison deck, compared to other Time Vault decks, but it has a series of powerful synergies. Let me point them out. First of all, Time Vault and Stasis work nicely together. You can untap Time Vault at the beginning of your turn to ship the turn back to your opponent, even with Stasis in play. When they are pretty well locked under Stasis, this creates free turns for you. Second, this deck has another use for Instill Energy than simply putting it on your Time Vault. With this deck, you can put an Instill Energy on a Birds of Paradise to pay for Stasis indefinitely. This creates an assymetrical lock. Also, instead of relying entirely on Instill Energy, you can Transmute up Jandor’s Saddlebags to untap the Animated Time Vault. This way, Transmute can find two parts of the three part combo. Mirror Universe has already been mentioned as a combo finisher. 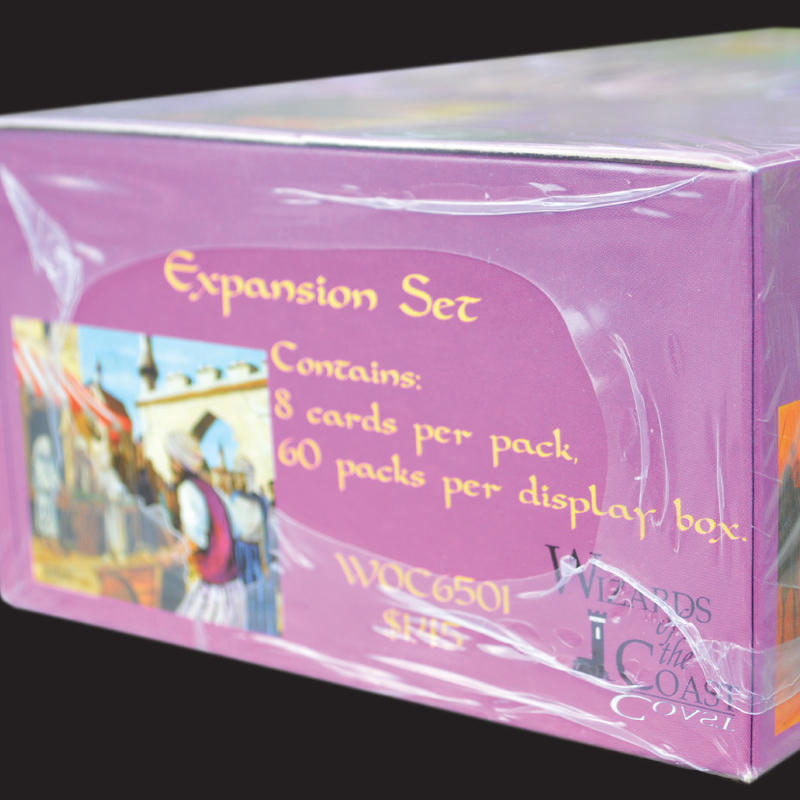 Like Underworld Dreams, Mirror Universe was promptly restricted following it’s release in the Legends expansion. This curbed it’s abuse as a combo finisher, but still allowed it to be used as such in control decks. By the end of it’s run, perhaps the most famous use of Mirror Universe was in the hands of a Control pilot tapping their City of Brass in their upkeep and exchanging life totals with Mirror Universe to win the game. As documented last chapter, this all went away with 6th Edition rules. But Mirror Universe still has value. As just noted, it makes Fireball a much easier play to win the game if you gorge on your life total and then give your life to your opponent. But there is still a way, even under the current rules, to make Mirror Universe instantly lethal. That way is Lich. When Lich enters play, you lose all of your life. Conveniently, this means that Mirror Universe will instantly kill your opponent when you exchange life totals. There are many ways to gain life in Old School Magic, but perhaps the most reliable and instantaneous way with Lich in play is Dark Heart of the Woods, which will draw cards immediately. Another option is Ivory Tower, although that requires more time. Crumble is here both as removal but also life gain. I should note here that Drain life functions as a pseudo-Fireball, just as it did in Pros-Bloom, except that it is also a short-term tactic to draw additional cards. George Baxter offers a pretty interesting and comprehensive explanation of his deck in Deep Magic, where he explains that the Lich is here mostly as a combo finisher. He uses the Djinns to buy time and provide defense. In particular, he explains that the Lich should be played only on the turn you intend to combo out, and that the specific combo requires about five lands and a Mox with Dark Heart and Fastbond in play. With this combo set up, the goal is to sacrifice Forests to draw cards with Dark Heart, and play lands via Fastbond such that you gradually, but inevitably, build up enough mana for a lethal Fireball. I have spent some time brewing Lich decks, but I can’t claim to have had much more success than Mr. Baxter, although my list takes a different tack (I use Birds of Paradise and Hypnotic Specters). If you do decide to go in on Lich, I recommend Avoid Fates (in the sideboard) to protect yourself from Disenchant. Lich is a powerful draw engine, but also requires a tolerance for risk that is found in few players. Finally, we reach the last major combo archetype. Underworld Dreams Combo and Power Artifact Combo probably have the strongest overall tournament resume at the moment, but it is recursion combo that I believe is probably the most overall fun to play, and may also offer the absolute highest skill ceiling. It is also the fastest. 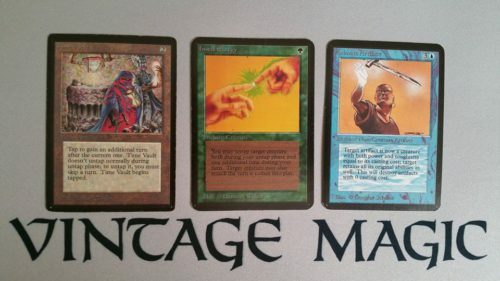 Having documented the history of early Type I Magic for my History of Vintage series, I’d encountered many “recursion” decks in the 1994-5 period, where players like Zak Dolan in the Duelist and Mark Chalice frequently wrote about decks that used Timetwister and Regrowth endlessly to create strange and interesting loops. The Enchantresses serve as the draw engine here, drawing cards to find more combo pieces and help accelerate to the next loop. According to Zak, the goal with this list is to “get to the point where you have Island Sanctuary, two Stone Calendars (or one and a Copy Artifact), a Fastbond, and a creature with Spirit Link and Unstable Mutation in play, and just Time Walk, Berserk, Timetwister, Regrowth, Disenchant, Power Sink Black Lotus, Swords to Plowshares and Strip Mine in your hand, graveyard, and library.” From that point, you can build infinite mana with Regrowth for Timetwister and Lotus in each loop (because of the two Stone Calendars). From there, you can cast Berserk an absurd number of times and take infinite Time Walks. As Zak put it, “churning relies on playing and sacrificing your cards, running through your whole library every turn no matter how many cards are in your deck.” The key to this is Timetwister, which allows you to loop and churn. 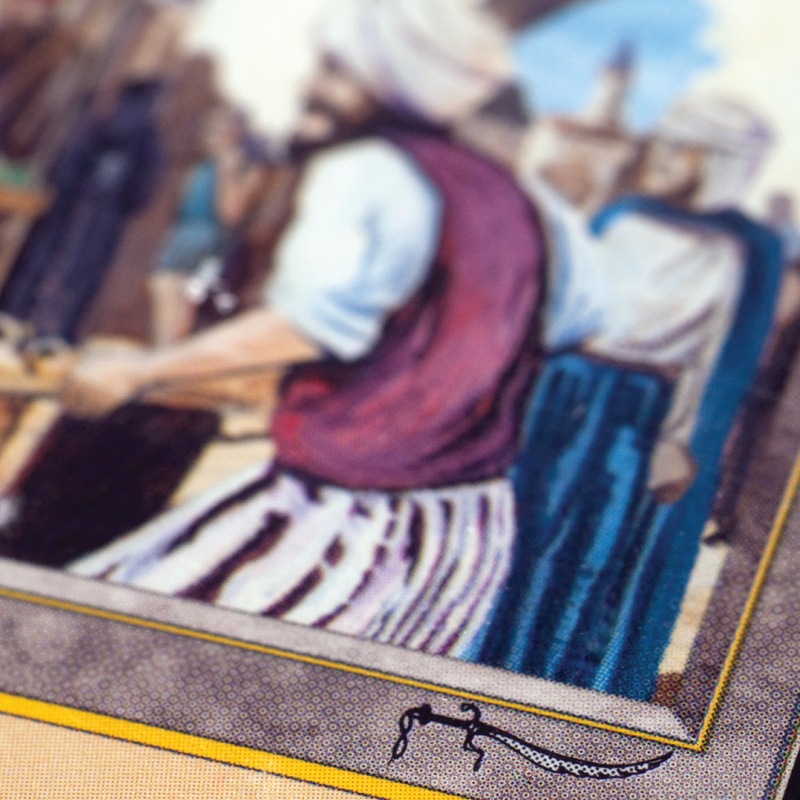 This deck has many interesting draw cards, from Book of Rass to Bazaar of Baghdad, two unusual, but notable, draw engines for combo decks in Old School. The goal of the deck was to set up Recurring Time Walks by Forking Time Walk to take enough turns to win the game. Eventually, you can generate enough mana for a lethal Fireball (or eventually find Channel). An alternative win condition is a pseudo-Fireball; It’s a Forked Storm Seeker to win the game after a Timetwister. 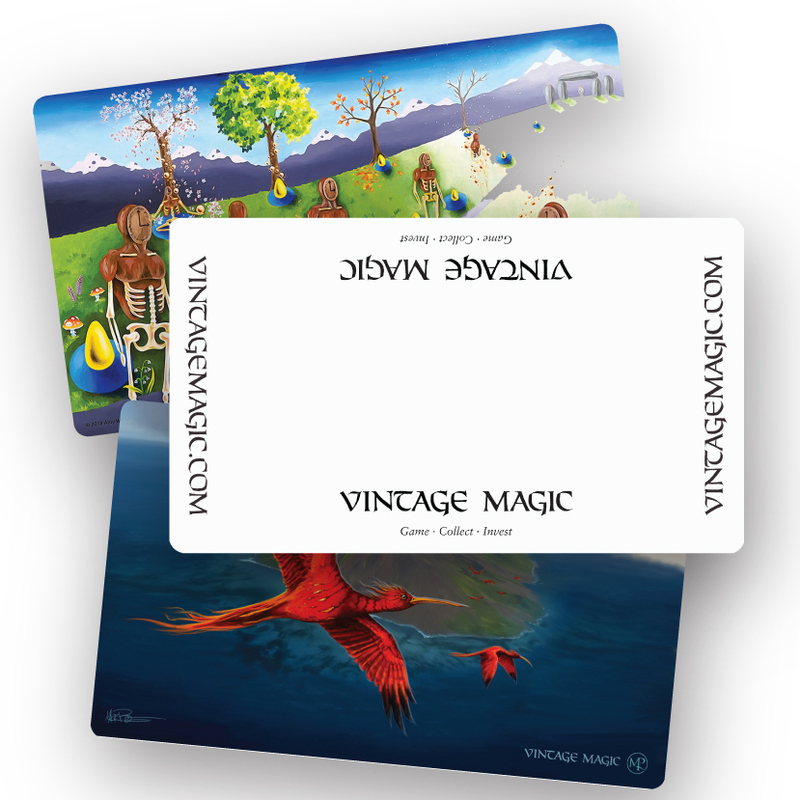 I interviewed Mark for my History of Vintage series, and he explained many of the intricacies of the deck. But one of the key points is the way in which Howling Mine fuels this deck. By focusing on Time Walk, it tries to make Howling Mine less symmetrical. The other key, the mana engine, is the role of Fastbond in the deck. As you can see, the deck has 3 Fastbonds, which allows it to accelerate quickly. Dark Heart of the Wood allows the deck to gain life to play more mana to continue to combo out. Mark took this to a 50 player tournament in Costa Mesa, California and won the entire tournament. The card that stands out is Verduran Enchantress, which, with Dark Heart, Dance of Many, Fastbond, and other enchantments, forms a draw engine. At the same time, Mana Flare and Candleabra are another way, aside from simple recursion, to fuel a lethal Fireball (note the lone Fireball as the main win condition – yet another deck built around Fireball as a “Tendrils of Agony” finisher). But, the most interesting part of this deck isn’t Verduran Enchantress at all: It’s Forgotten Lore. As Mark explained to me, it’s this card that makes the deck possible. Forgotten Lore is the card that allows you to recur all of the restricted spells like Timetwister, Time Walk, and Ancestral Recall repeatedly. At a certain point, you build a critical mass of resources, such that any time you cast Timetwister, you will have enough good spells in hand to immediately recur it, but only after deploying all of your mana and playing other good spells in the process. Once you hit that critical point, which occurs sooner rather than later, you can essentially go infinite loops of either Twister or Time Walk. It’s not entirely deterministic, but it’s darn close. Close enough that once you are looping, you have almost no chance of losing control over the game. This deck has been my private Old School obsession for the last few months. It’s ridiculously fun to play. In almost all of my actual matches with it (tournament or testing), I won on either Turn 2 or 3 (not counting Time Walk turns), and have been exceptionally close to multiple Turn 1 kills. There are a few notes to make. First of all, the win condition, as for many of these decks, was Fireball. The goal of the deck is to get a critical mass of resources such that you can set up a loop, either recurring Time Walks iteratively with Forgotten Lore or other recursion or Timetwister, and often both at the same time. Once you do that, it’s not long until you can build enough mana for a lethal Fireball or switch life totals with Mirror Universe and fire off a small, but lethal, Fireball. I started my testing with Enchantress, following Mark’s lead, but quickly realized I didn’t need it. With Library of Alexandria, Timetwister, Wheel of Fortune, Sylvan Library, Ancestral Recall, Braingeyser, and Demonic Tutor, I realized through testing that I had enough draw spells to reliably find one in my opening hand or in a mulligan to 6. At the same time, the deck has enough defense with Moat, The Abyss, Balance, etc. that you don’t need to win immediately to eventually win the game. Glacial Chasm is a nice part of the combo from Ice Age because it prevents you from taking any Fastbond damage when you are in the final stages of comboing out. 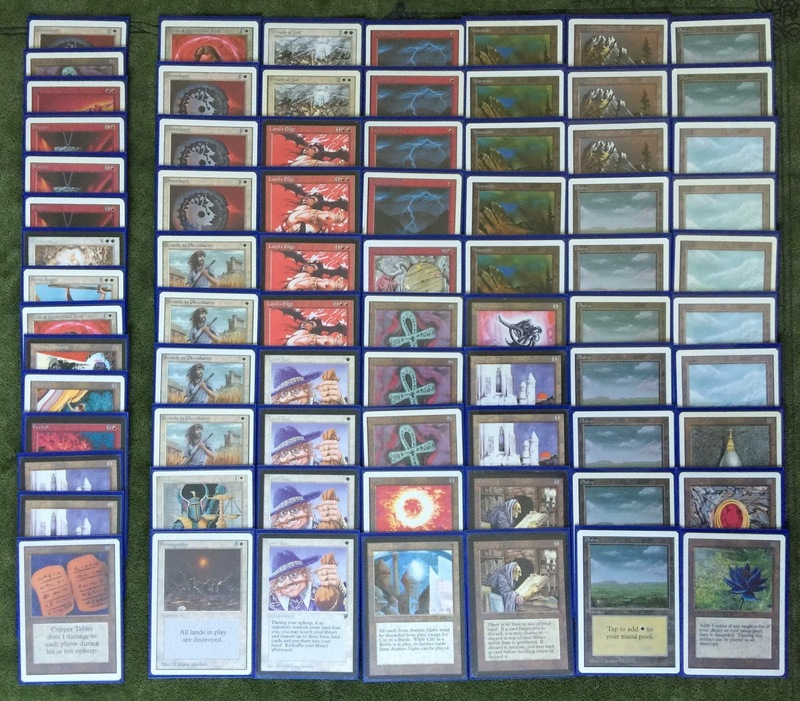 Since recursion is the primary plan, I also ran a single Tormod’s Crypt maindeck to remove cards from my opponent’s deck before every Twister, while also doubling against what I think is the best deck in our ’95 environment, Reanimator (see Chapter 9). That said, there are a few rough edges that need to be tweaked. One of them is that I probably need to swap out some of the non-blue dual lands for more green dual lands, simply to make Forgotten Lore just a little more reliable. There are situations where you need to pay 7+ mana for Forgotten Lore to get the correct card. In addition, I probably should have run more Sylvan Library as a draw engine, a card that Mark Chalice probably should have run more of as well in both of his Recursion combo decklists! Sylvan, as we’ve seen, along with Howling Mine, is one of the best draw engines in the format, and it’s especially good when you have lifegain. After this tournanent, and in fact, doing preparation for this article, I encountered what the Swedish group calls “MirrorBall” strategy. This is, in essence, very similar to what I was trying to do here, but only with 93/94 cards (excluding Fallen Empires as well). This deck is interesting for a number of reasons. First of all, despite not having Forgotten Lore, it’s got the proper number of green mana dual lands. Obviously, that’s largely to support Dark Heart of the Wood, which may just be better than Zuran Orb anyway, although that remains to be seen. Second, MirrorBall is all in on Sylvan Library. I’m not sure we really need that many Sylvans, but I probably should have run more than 1! I tested Channel in my ’95 Recursion combo list, but ultimately decided it was largely superfluous. Because this deck uses so many Mirrors, I think Channel is more justifiable. Also, in the pre-Ice Age environment, you may just have more room for Channel anyway. I also really like the technology of Drop of Honey perhaps instead of some of the 4cc Enchantments I ran, although perhaps a mixture is best. If I had to replay my ’95 Recursion Combo deck, I’d probably swap out 2-3 of the dual lands for more Bayou and Taiga. And I’d probably add at least 1-2 more Sylvan Library, probably over one of the creature defense cards. But I’d also probably add a Drop of Honey or two somewhere between the maindeck and sideboard, and probably over The Abyss. Converting the deck into a 93/94 deck requires a bit more work, but I’d start by adding Channel back into the deck, and possibly, following the lead of Mr. Jordo, adding a second Mirror Universe, and possibly a third. I’m confident, however, that this archetype, by blending my ideas with those already established by MirrorBall pilots like Martin Jordo, can provide a fierce deck in any Old School environment. 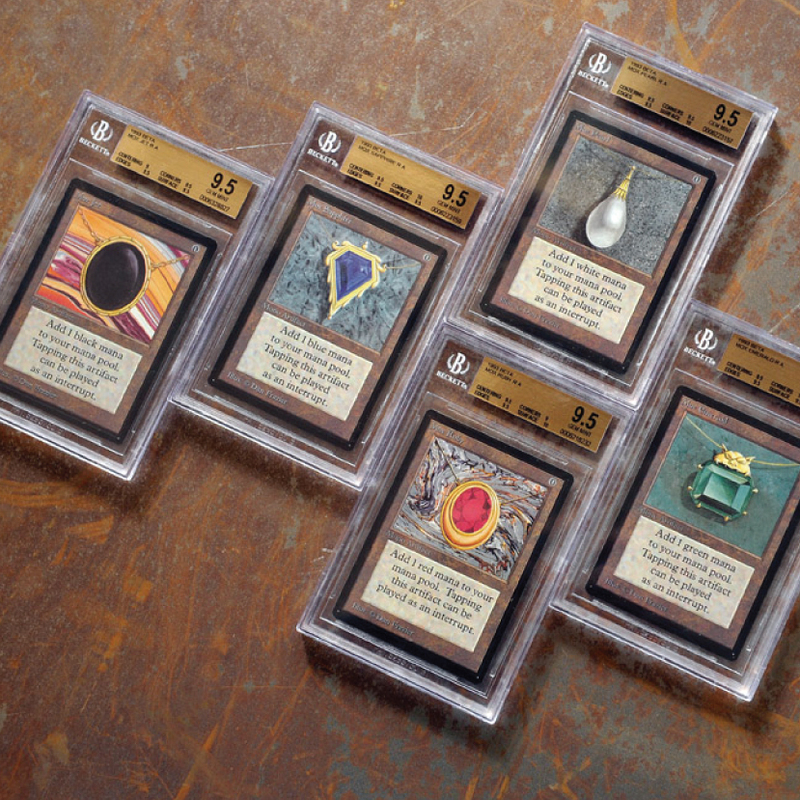 This article has explored the least covered aspect of Old School Magic: Combo. Without purporting to be exhaustive, I’ve presented the six most prominent Combo strategies in two modes: their contemporary iterations and historical counterparts. 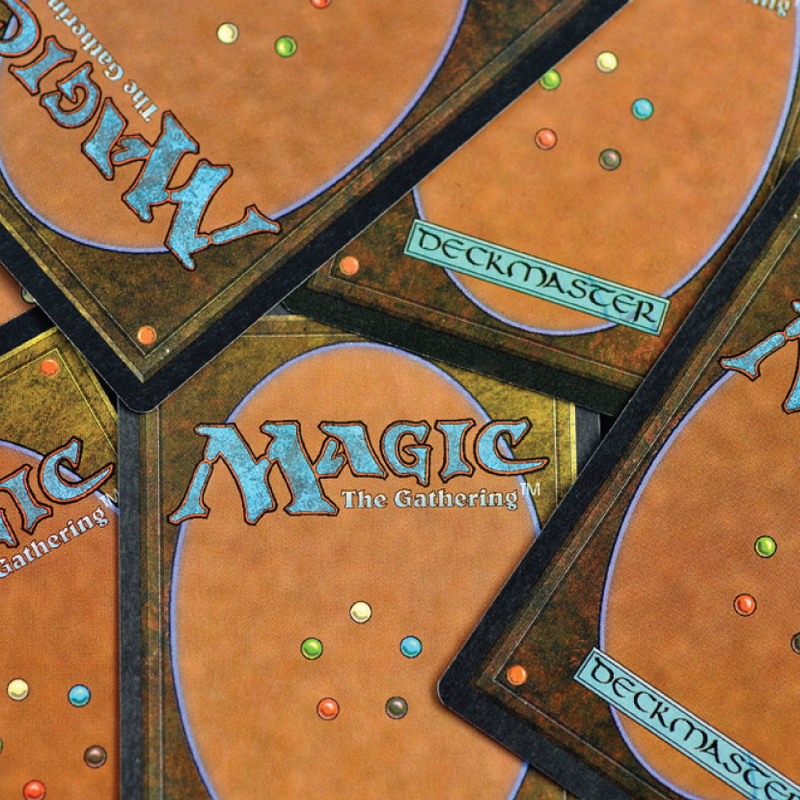 These decks reflect the draw engines, mana resources, tutors and, most importantly, the win conditions that structure the possibilities for combo decks in Old School formats. The most prominent of those win conditions are Fireball, Underworld Dreams, Land’s Edge, and Mirror Universe, but they also include cards like Drain Life and Storm Seeker. 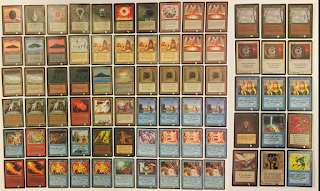 My goal for this article is that you finish it having a better appreciation for the strength and range of possibilities for combo in Old School formats than you did before reading it. A secondary goal is that you may be inspired to try one of them or build your own. These decks are extremely fun to play and often unexpected in Old School metagames, and there is certainly room for improvement. Perhaps their biggest selling point is they offer enormous replay value – and therefore fun – because they are often fast and play out so differently with so many lines of play from game to game. 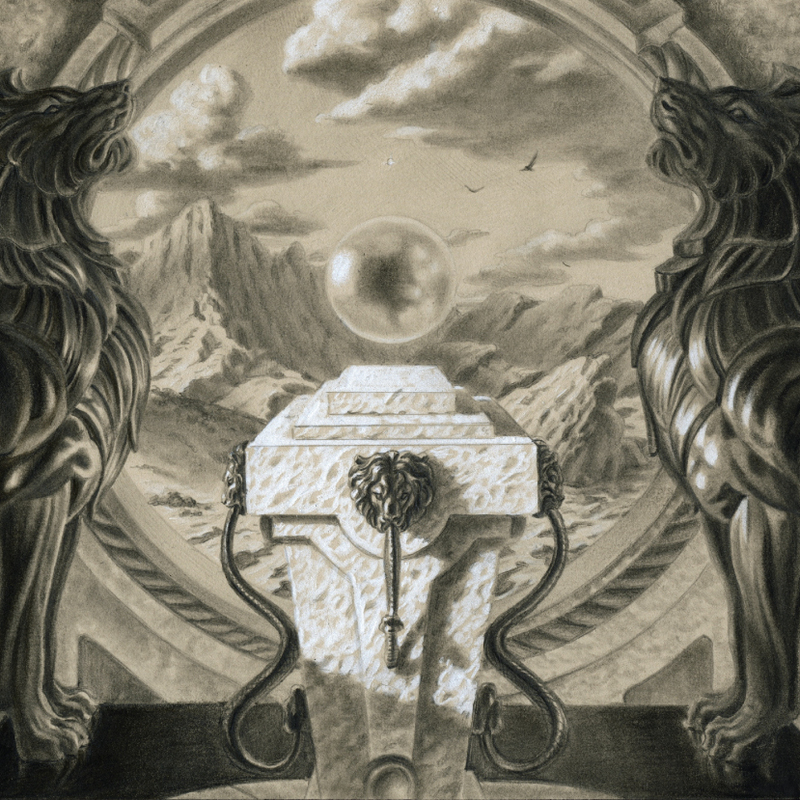 This is another way of saying that these decks have such a high skill ceiling such that they may offer the greatest potential for improvement and skill development towards mastery of anything else in the Old School Magic experience. Post-Script: This is the penultimate article in this planned series, with the next chapter scheduled to be the final chapter. If you have enjoyed this series, please post a reply letting us know, and share the article with your friends. That will go a long way to towards determining if we will plan future chapters beyond Chapter 12. Hi Steve, as a newbie to the game (started playing in Journey to Nyx) I'm loving this articles and I'm learning a ton about the game. Please keep them coming. Cheers! One of the best series, and a great source of information for those who are getting into Old School (myself included). Thank you for your effort. Very much enjoy this series, thanks as always Stephen. I must ask, what is the win condition in your Time Vault/Stasis deck? Animated Jandor Saddlebags beatdown?? Also I suppose you already had a whole separate article about it, but curious if you would classify Reanimator as an Old School combo deck or not (particularly the All Hallow's Eve-based versions where Ice Age is not permitted). Hi Eliot! The win condition is basically anything – it could even be Time Vault! If you put two Instill Energy on it, and clear out all opposition with Chaos Orb, you could both take turns with Time Vault and attack for 2 a turn. I did write a separate article on Reanimator, which is part of the reason I didn’t include it here. But there is another, more important reason. I spent a big section on the semantics/semiotics and taxonomy of Combo at the beginning of the article, where I talked about the origin of the term. Using that framework, I specifically focused on decks that don’t use creatures as win conditions. Thus, this article was organized into: Fireball, Mirror, Edge, Underworld Dreams, and other win condition decks. Ive enjoyed these articles immensely. 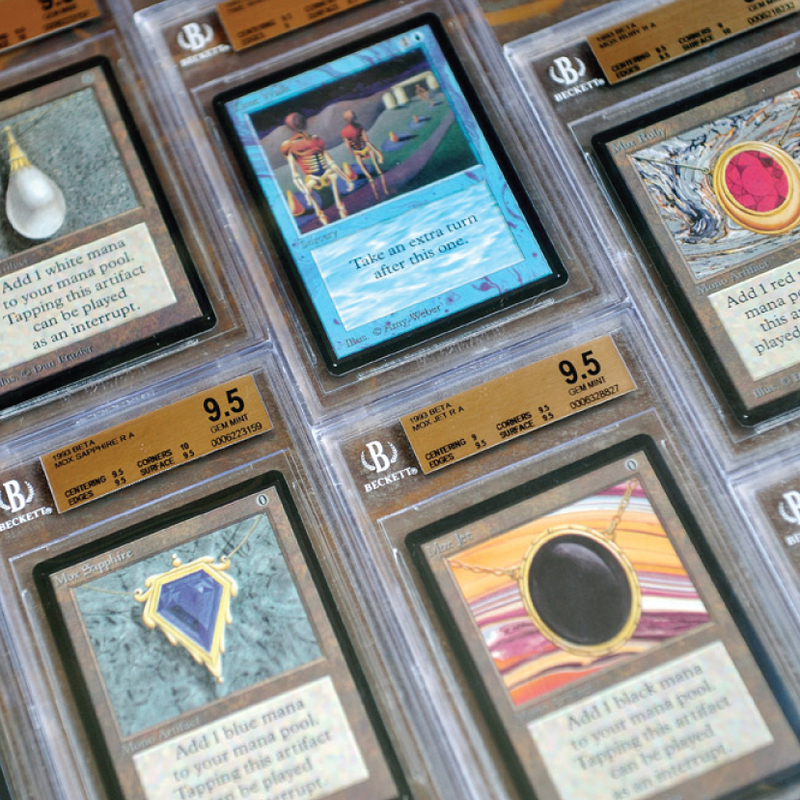 I'll be goin to my first 93/94 tourny in August with a deep feeling of gratitude towards you for providing the resources to enrich my understanding of Magic history. I hope to see you touch on Mono-Black, my deck of choice, because it would be very helpful to see how that deck evolved in it's many iterations. Thank you! Another fantastic Old School Magic article by Steve. His techical analysis of strategies, cards, and tactics, illuminated by both historical narrative and current metagame, is unparalleled. And it's all held together by his highly engaging writing style. 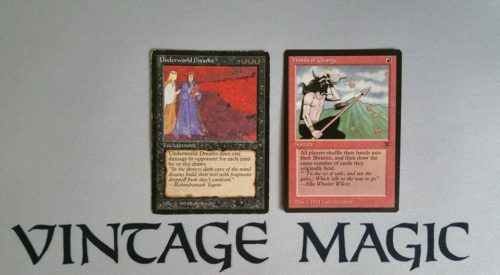 The Old School movement would benefit greatly if Steve were to continue writing for VintageMagic.com – please keep these articles coming! Love the article as always. Please go on with the articles. I'll do some more sharing, it's well deserved. I'm thinking of organizing a tournament in this format, actually. What are your thoughts on Demonic Consultation ? Seems broken to me, while not useful in recursion-combo decks like the one you're working on, it makes many combo much more dangerous (and possibly Monolith combo too consistent). It also makes things a bit dumb with 4 Hymn to tourach as a universal "catch-all", and the russian roulette of DC for Channel is not funny for long. Consult is definitely broken. It helps assemble 3 cards combos really effectively, like Power Monolith. But, I’m not sure it isn’t fair. It doesn’t get restricted cards reliably, and it is a nice power boost to aggro decks. We allowed it (as described in Chapter 10), and I would encourage others to do so, until it’s proven that there is a dominant deck as a result.